The CEO of Turkish Airlines has officially announced the carrier's USA long haul expansion plans that shall be taking place in 2012. He revealed that new flights to Houston, Miami, Detroit and Boston have been planned with IAH and MIA being on the top priority list. MIA is expected to be launched nonstop from the on set of the IATA Winter 2011 season using an A 330-200 operated 3 times per week from IST. Houston on the other hand would initially be receiving an Airbus A 340-300 until more B 777-300ERs arrive into the TK fleet. From MIA, TK's main target market is Africa, Southeast Asia and Southern Europe where as from IAH, the emphasis will be on high yielding oil traffic bound to TK's niche Central Asian network as well as the oil cities of the Middle East, North Africa, Iraq and Levant. In 2011 and 2012, TK will be taking delivery of an additional 6 A 333s + 5 B 773ERs + 2 A 332s + 6 A 319s + 14 A 321s + 10 B 738s and 10 B 739s. Qatar Airways has officially confirmed that it will be increasing its frequencies to Singapore effective May 2011. It will be done in stages in the following manner: a) From May, frequencies increased to 10 weekly. b) From Oct, another 3 more to be added. c) From Nov 3rd, an additional weekly flight to make it double daily. The aircraft to be used for the double daily flights are a B 773ER and A 332. Thai Airways has officially announced further changes to its medium and long haul route network for the IATA Summer 2011 season. The main highlights are as follows: MXP - frequencies increased from 3 to 4 weekly nonstop flights using a B 772ER. DXB - capacity reduced from daily B 772 to daily A 333. JNB - frequencies reduced from 4 to 3 weekly nonstop flights. BOM - frequencies reduced from double daily to 12 weekly. CAN - capacity increased to double daily A 333s. JKT - frequencies increased from daily to 10 weekly flights i.e. daily B 744 + 3 weekly A 333. 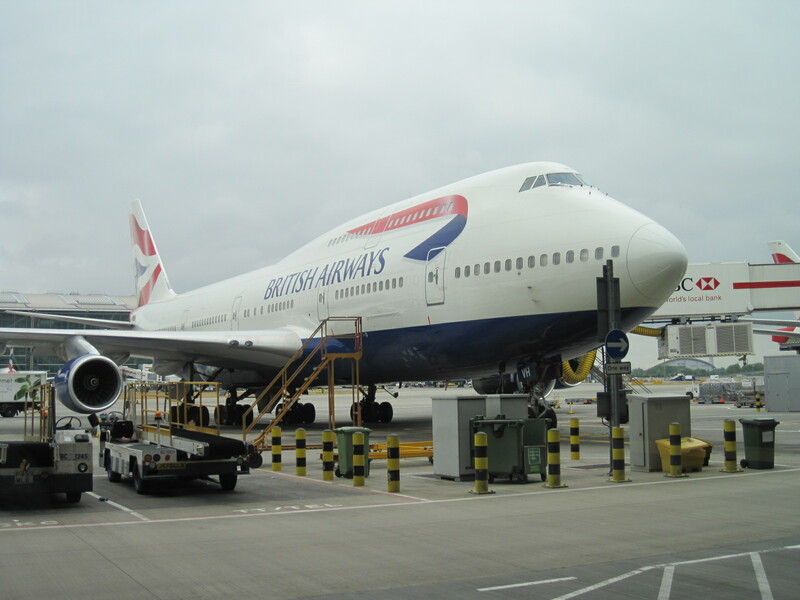 DPS - capacity increased to daily B 744 from daily A 333. MAA - capacity increased from daily AB6 to daily A 333. DAC - capacity increased to daily B 773 from daily A 333. BEY – frequencies increased from 6 weekly to daily using a 160 seater A 320. DAC – frequencies increased from 3 to 5 weekly using a 160 seater A 320. BOM – frequencies increased from 3 to 4 weekly using a 160 seater A 320. DXB – frequencies increased from double to triple daily using a mixture of A 320s and A 319s. BOM/DMM - new daily nonstop flights using a B 738. BOM/DXB - a new third daily flight using a B 738. Yemenia has officially confirmed that it will be increasing flights to CAN-Guangzhou, China from the on set of the IATA Summer 2011 season. An additional weekly flight shall be operated via Dubai with 5th freedom traffic rights using an A 330-200. This will raise the total operation to 3 times per week using the same aircraft type. Sri Lankan Airlines has officially confirmed that they are dry leasing an additional Airbus A 340-300 which is an ex Cathay Pacific aircraft configured in a 3 class layout with F/J/Y. 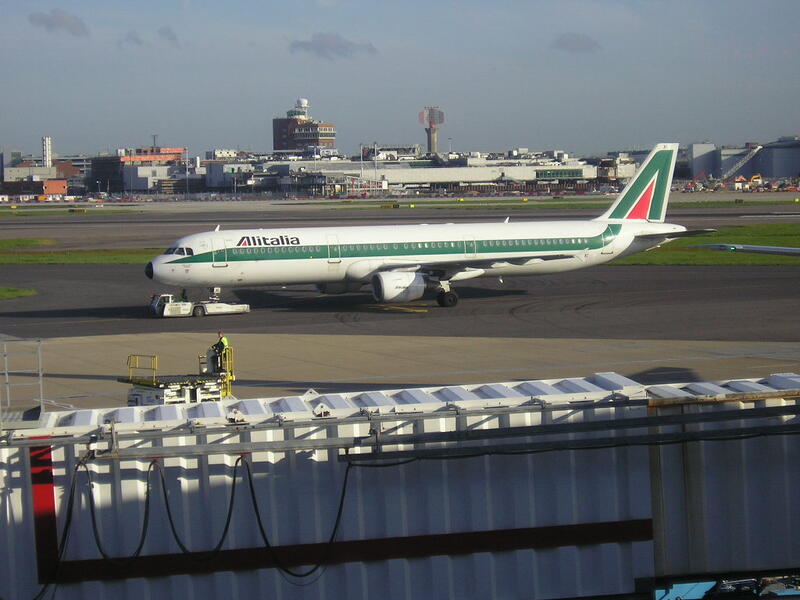 The airline will not be retrofitting the aircraft and is most likely going to be using it on its highest yielding long haul route which has considerable premium demand i.e. CMB-LON. Qatar Airways has officially announced that they shall be launching new nonstop flights to YUL-Montreal, Canada from this summer onwards. Mr Al Baker (CEO) confirmed this at a press conference held at Brussels airport earlier this week. Services would be operated 3 times per week using a Boeing 777-200LR. Main target markets out of Montreal would be the Indian Subcontinent, GCC, Iran and tour operator business bound to BKK, SIN, KUL and DPS. QR also announced that it will be placing a massive order for Boeing and Airbus A 380 planes at this summer's Paris Air Show which is also expected to see the airline announcing a much anticipated order for at least 20+ Bombardier C300 Series to fund its 'regional expansion' into Iran, Iraq and Central Asia. KRT - frequencies reduced from daily A 345s to 3 weekly A 332s. HAM - frequencies increased from daily to double daily flights. Oman Air has officially announced that it will be launching new nonstop flights to DME-Moscow, Russia effective June 9th 2011 onwards. WY will be using a Boeing 737-800 to operate the flight nonstop from its Muscat hub 4 times per week. The main target markets for WY on this route is Far East, Colombo, Maldives and Dubai. In addition, WY too officially announced that it shall be launching new 4 weekly nonstop flights to KRT-Khartoum, Sudan which will be operated effective May 5th using a Boeing 737-800. Air India has officially announced that it shall be increasing capacity to Toronto from the on set of the IATA Summer 2011 schedule by deploying a 342 seater Boeing 777-300ER on the nonstop India-YYZ-India route on a daily basis. The routing structure will be a same plane service ATQ-DEL-YYZ-DEL-ATQ. The total capacity increase is 104 seats daily one way i.e. 44% increase in capacity. Turkish Airlines has officially announced that it has obtained approval from its Board of Directors to launch new nonstop flights to KBL-Kabul from this summer onwards. Flights are expected to be operated 4 times per week nonstop using a Boeing 737-800. Philippine Airlines has officially confirmed that it shall be suspending all of its flights to RUH-Riyadh, Saudi Arabia effective March 31st 2011. PAL currently operates 4 weekly nonstop flights from Manila using a B 747-400. The airline sees high loads on this sector but due to losing close to US$ 200,000 per flight, the high level losses have forced it to abandon RUH flights once again. Korean Air has officially confirmed that it shall be increasing flights to ORD-Chicago, USA from July 25th 2011. 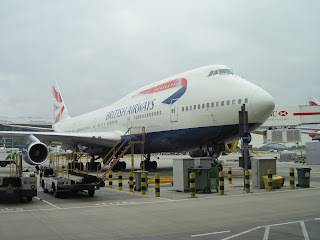 KE currently operates a daily nonstop flight from its ICN-Seoul hub using a B 747-400, however from late July, these will be increased to 10 times per week nonstop using a B 744 for all flights. YVR/NRT - capacity increased from daily B 763ER to daily B 773ER. YUL/CDG - frequencies increased to double daily using a B 763ER. YYZ/SCL/EZE - frequencies increased to daily using a B 763ER. YYC - frequencies reduced from daily to 6 weekly. PVG - frequencies increased from 10 weekly to double daily using a B 744 and A 346 daily each respectively. IAD - frequencies reduced from double daily to 13 weekly. DFW - frequencies reduced from daily to 6 weekly. PHL - frequencies reduced from daily to 6 weekly. KLM has officially announced that it shall be increasing flights to Dubai, UAE from the on set of the IATA S11 timetable. Services shall be lifted from 13 weekly to double daily nonstop using an Airbus A 330-200 for all flights. This is expected to be a direct response against Emirates who has negatively effected KLM's loads on the O&D sector plus KL's market share to India and Far East Asia in particular. 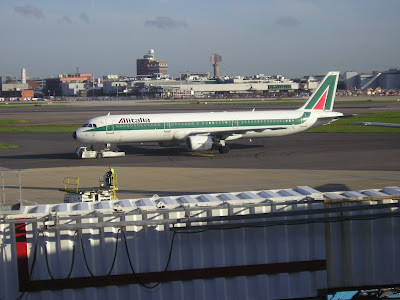 Alitalia has officially confirmed that it shall be increasing services to LAX-Los Angeles, USA from June 5th 2011. AZ will be adding an additional weekly nonstop flight from Rome to LAX using a B 772ER which will bring its total frequencies to 6 weekly.